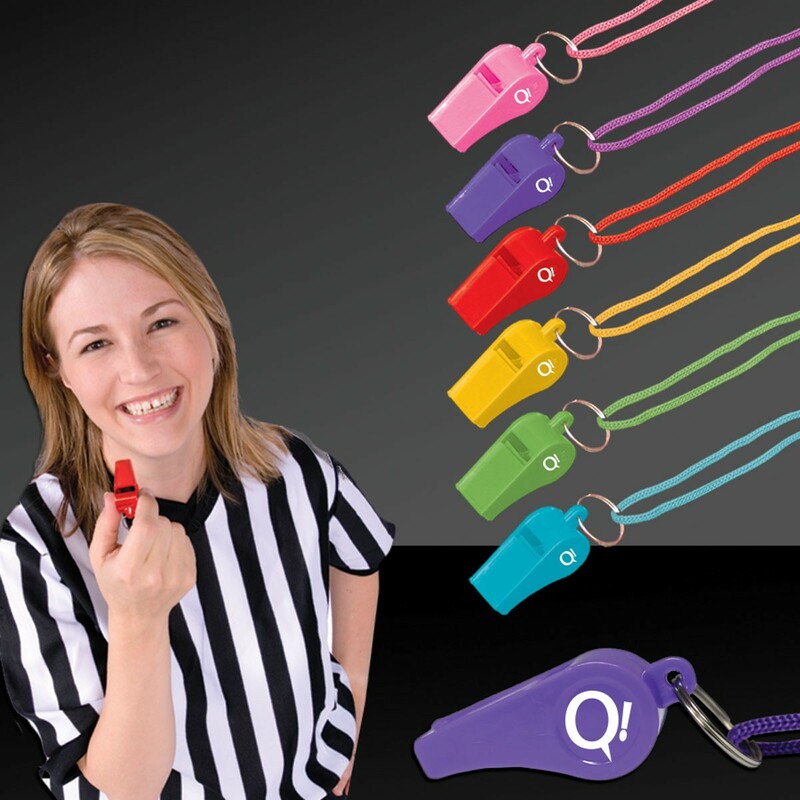 Quick Info: Get plenty of attention with our colorful plastic 2" whistles! Your company logo or name will look great on these assorted color whistles. Priced per whistle but please order in increments of 1 dozen. Sorry, we cannot guarantee color assortment. 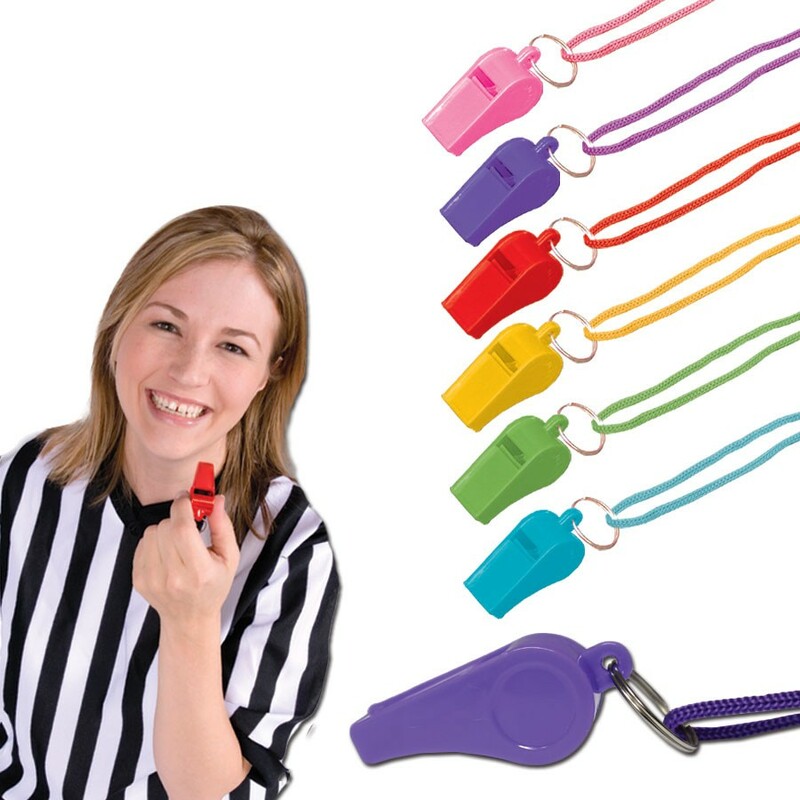 Get plenty of attention with our colorful plastic 2" whistles! 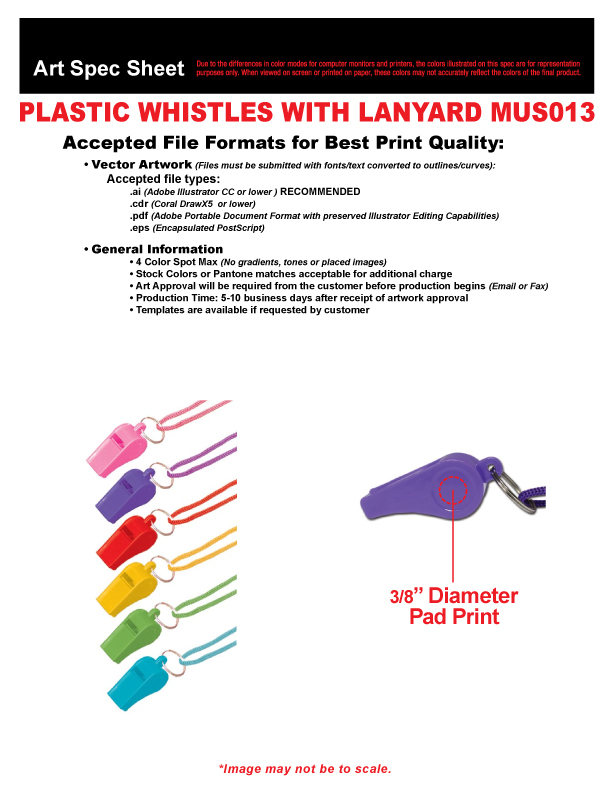 Your company logo or name will look great on these assorted color whistles. Priced per whistle but please order in increments of 1 dozen. Sorry, we cannot guarantee color assortment.